Discover the Gascons of South Gironde, a warm and fun-loving people with deep-rooted values. You can see Gascony culture in everything here! Where does the name Bordeaux Gascon come from? Historically, Bordeaux Gascon covers the Gascony region and the city of Bordeaux, located a few kilometres from South Gironde. One thing is certain: you will be warmly welcomed to South Gironde! You can always spot typical Bordeaux Gascons, with their berets and their sunglasses. Looking for information? Need directions? You will always find a Gascon to help you. Whether you are walking or cycling, you can’t miss the Estafette des Gascons truck: its yellow colour a reminder of the good nature and smile of the locals! This nomadic tourist office can provide you with all the information you need. 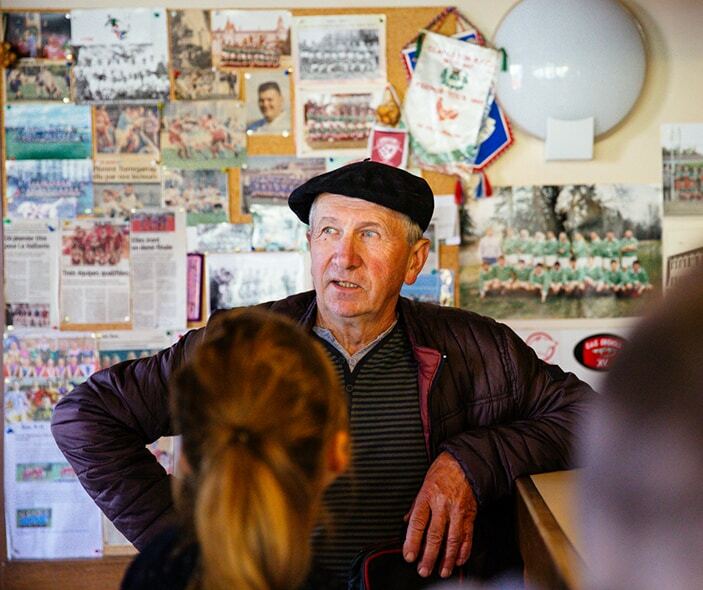 South Gironde is also home to Gascony traditions! To immerse yourself in its culture, take part in the Fêtes de la Saint-Jean midsummer festivals, the Fête du Bœuf Gras beef festival in Bazas, or Paille & Ripaille, the wine and farm festival in Langon. Dancing, games on stilts, Gascony song and traditions! The Gascon people, lovers of good wine and fine food, will reveal their fun-loving nature to you! These party-lovers have a funny, mischievous side, as well as being more than a little proud of their region! And that’s not all! Bordeaux Gascons love the natural features and landscapes of South Gironde. 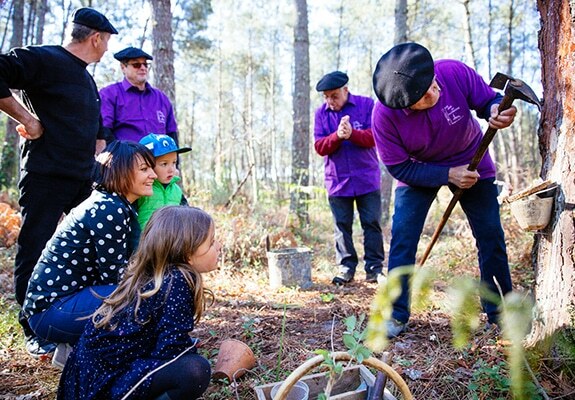 On a forest walk, you can meet paloumayres pigeon-hunters, or locals attending to pine-tapping. On the banks of the Garonne, Gascons settle into their huts on stilts for the age-old traditional of carrelet net fishing.